All the approaching milestones for the players ahead of the Australia-India Test series. The four-match Test series between Australia and India offers new challenges for both the teams and players in the two squads. Australia, short on players with experience, might not start as favourites at home but that doesn’t mean India can cake-walk to their maiden Test series win down under. The series will be crucial for the Aussie players who are trying to find a spot for themselves in the team and might as well be the final chance for some of them. On the other hand, Indian players are no different as quite a few batsmen in their squad are at the edge of being dropped. Hence this is a make or break opportunity for players on both sides. 195 – Bhuvneshwar Kumar needs five more wickets for 200 wickets in International cricket. The pacer has 63 wickets in Test cricket to his name – 99 and 33 wickets respectively in ODI and T20I formats. 400 – Jasprit Bumrah (399 from 117 matches in FC, 130 in List A and 152 in T20) and Kuldeep Yadav (299 from 112 matches in FC, 81 in List A and 106 in T20) are one wicket away from completing 400 and 300 wickets in their professional careers. All-rounder Ravindra Jadeja (395) needs five more wickets for 400 FC wickets. 498 – Aaron Finch is two more games away from completing 500 appearances in professional cricket. He featured in 80 FC games, 175 List A matches and 243 T20s thus far. Off-spinner Nathan Lyon (485) needs 15 scalps for completing 500 first-class wickets. 2947 – KL Rahul is 43 runs away from completing 3000 runs for India in International cricket. Rahul (1848) also needs 152 runs for reaching 2000 Test runs. 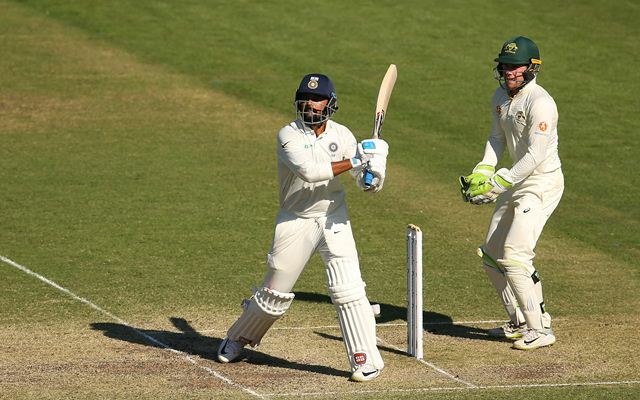 3933 – Murali Vijay is in need of 67 more runs to complete 4000 Test runs. With another 169 runs, he will become the 4th Indian to score 4000 Test runs as an opener. 4905 – Cheteshwar Pujara will reach 5000 Test runs when he scores 95 more runs. The Saurashtra batsman (13953) will complete 14000 runs in first-class cricket if he scores 47 more runs. 6000 – Peter Handscomb (5962) needs 38 more runs for 6000 runs in FC cricket which he scored in 97 matches. The latest opener Marcus Harris (5994) is six runs away from 6000 professional runs (4153 in FC, 1064 in List A and 777 in T20). Another Australian batsman Travis Head (4972) is nearing 5000 runs in first-class cricket. 9974 – Left-handed batsman Shaun Marsh needs 26 more runs for 10000 first-class runs. His brother Mitchell Marsh (8871) needs 129 more runs for 9000 professional runs (4631 in FC, 2875 in List A and 1365 in T20). 23853 – Rohit Sharma needs 147 runs to complete 24000 professional runs (6456 in FC, 9696 in List A and 7701 in T20) while Rishabh Pant (4845) is 155 runs away from completing 5000 runs in his professional career (2090 in FC, 879 in List A and 1876 in T20).